Whether you’re going with friends, family, on a date, or a solo night out, going to the movie theater can be a great way to spend an evening! Make sure everyone has a truly memorable time with a few of our tips for planning the perfect trip to the movies. 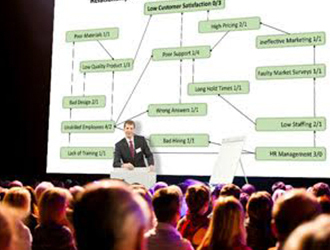 Like any event, it pays to plan accordingly to your schedule. When deciding on a movie to go see, make sure you check what the showtimes are and ensure that you can get there in time. Arriving at the theater a few minutes before the start of the show allows you to stop by the concession stand, enjoy hot food or an adult beverage (where available), as well as find good seats for the best view. This means you can settle in, get comfortable and take in the theater atmosphere - one of the big reasons you’re going to the theater instead of watching a movie at home in the first place! Also, consider checking for special screening times to get a deal on tickets, or to better accommodate the rest of your group. While a later screening might leave some people sleepy (especially younger children) many theaters offer discounts for matinee showtimes, so you can save with bigger groups. Advance movie tickets are a must if you want to beat the busy crowds at the theater. You’ve been waiting weeks to see the newest releases, don’t let the dreaded ‘sold out’ sign ruin your night! What’s even better is saving yourself from the long lines at the ticket stand, and instead skipping right to the snacks and finding the perfect seat. Save yourself the time and money, buy tickets in advance! While nothing beats a night out at the movies, some theaters stand out amongst the rest. BTX auditoriums and 3D screenings can create an experience above and beyond the norm, but Bow Tie Ultimate Theaters takes the extra step with options like reserved luxury recliner seating and advanced Dolby Atmos sound systems. Getting tickets reserved early can be a sure way to guarantee seats and impress your movie date. Nobody likes to have a movie plot spoiled, but it helps to know what to expect going in. You want the movie to be a good fit for the occasion, after all. You wouldn’t want to take your kids to a movie that’s bound to give them nightmares, nor would you want to get entangled in a high-concept sci-fi film when you were hoping for a lighthearted action flick. Take a look online and find a synopsis of the film so everyone in the group can decide if they want to see it or pick something else. 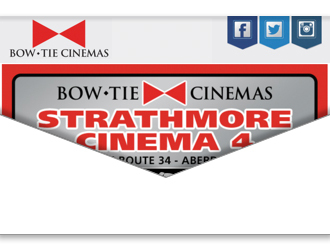 You can find these film details as well as trailers at www.bowtiecinemas.com. In addition, it’s easier nowadays to find information on whether a film might surprise viewers with content that could make the experience take a turn for the worse. Knowing ahead of time about such elements lets you decide if you’d rather watch something else, or at least be ready for it so you’re not thrown off. 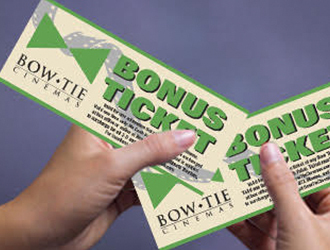 For avid moviegoers with a favorite theater, loyalty programs are a must to get savings and special offers. Many programs let you rack up points towards rewards each time you visit. These can include great offers like free popcorn, snacks, drinks or tickets. Some programs also give you a heads up on upcoming must-see movies, special events, and seasonal savings. 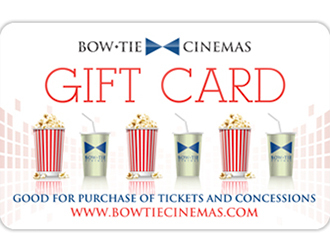 Bow Tie Cinemas has two loyalty programs to offer through the Criterion Club®. 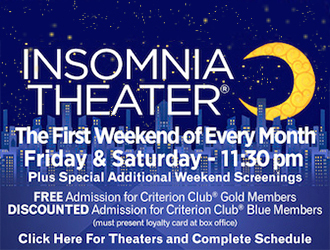 Blue members can sign up for free to get rewards, weekly announcements and invitations to exclusive screenings; for a yearly fee, you can upgrade to a gold membership and get even more rewards and exclusive invitations, including a free ticket, free upgrades on all popcorn and fountain beverages and much more! Theaters will often provide discounts for military members or veterans, students or senior citizens, so be sure to bring a valid ID that shows you fit the bill. If you’re planning an outing for your business or organization, see if you can get tickets in bulk. Bulk tickets are often cheaper individually than the usual price and can be used towards most movies, though there can be a surcharge for 3D or BTX screenings. 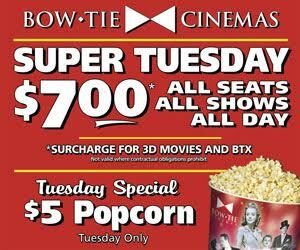 Beat the midweek lull and save big with our Super Tuesday deals of $7 movies all day and $5 large popcorn tubs! For a unique time at the movies, see what special events are taking place at your local theater. Specialty screenings offer content that you won’t normally see at the movies, and the variety can be enormous! 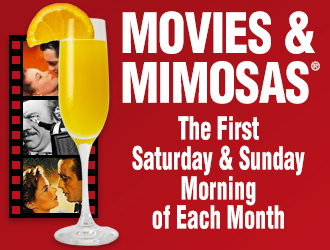 See anything from retro films to cult classics through Bow Tie’s Movies & Mimosas and Insomnia Theater programs. Check out our upcoming calendar of events for a full list of our screenings, with programs occurring on a monthly basis. With nearly two hours of film, it’s only natural that you’ll want something to munch on. Popcorn and boxed candy are the traditional picks, but don’t miss out on Bow Tie’s extensive Ultimate menus of delicious bites, ranging from snacks like hot dogs and nachos to full-on meals. 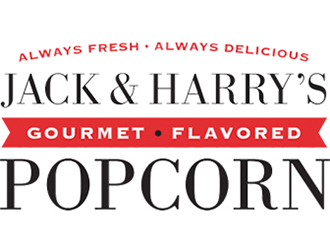 If you want a movie night to be special, picking up some food at the concession stand helps complete the experience. 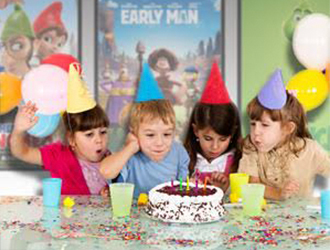 If you have a larger party going to the movies with you, it’s even more important that everyone’s enjoying themselves. Along with coordinating to ensure folks are satisfied with the movie and theater you’re going to, it’s vital that you keep tabs on how others are doing during the screening, especially with children or those with disabilities. Whatever the occasion, a bit of planning and the right theater can make a trip to the movies even better. 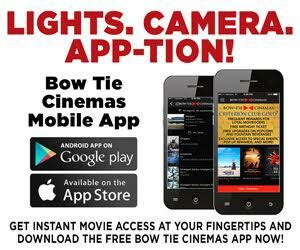 Bow Tie Cinemas is dedicated to giving you the best movie experience possible; see what’s playing, find a location near you and mark your calendar to make a night to remember.